Strapped for cash? Lost your job? Negative equity on the house? 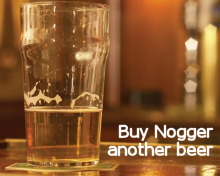 Worried about Christmas? Chill out, slap it on the plastic, something is bound to turn up. Isn't it? Commercial US banks' outstanding credit card debt soared by $7.1 billion in the week ending Oct 15th. Let me read you that again. In one single week, US consumers slapped an extra $7.1 billion on their credit cards. That represents a single week expansion of 1.9%, multiply that up by 52 weeks and, if the Yanks carry on at that rate, then credit card debt in the US will increase by almost 100% year-on-year. Here's some more data for you. It gets worse. US credit card debt rose more in the ten week period Aug08 to 15th Oct08 ($32.3 billion) than in the previous ten months ($29.1 billion) combined. That's some rate of acceleration that is. American Express say that defaults on credit card debt with them are now running at 4.1% in the third quarter, up from 2.7% in Q3 2007. Bank of America say that their default rate is now running at 5.9%. The overall pool of "uncollectable" credit card debt is now estimated at 6.7%, double what it was twelve months ago. Q. Who do you think is the second largest "merchant vendor" for credit card use in the US is? Now if you're so strapped for cash that you have to stick the $4 tab for a Big Mac and fries on the old plastic then things are indeed bleak. This recession isn't over by any means yet. Are you sure you still want the job Mr Obama? EU wheat futures closed lower Friday in quiet, low volume trade. London November feed wheat closed GBP0.50 lower at GBP89/tonne with just 25 lots traded all day. During the past week over 70,000mt of physical wheat has been tendered against the November London futures contract. With the carry into January closing at £3.65/tonne Friday, this would appear to indicate that long-holders need to turn their stocks back into cash. Paris November milling wheat ended down EUR0.75 lower at EUR144/tonne. A stronger dollar provided some support Friday, with greenback reaching 1.2735 against the euro from 1.2862 Thursday. This should help EU wheat be competitive on the export front against US wheat. Even so Egypt and Jordan both bought Russian wheat this week. EU soft wheat export licenses rose 494,000 tons for the week ended Oct. 28, data showed. Export licenses are now up nearly-three fold during the previous 18 weeks compared with the same period a year ago. Even so, exports need to remain substantially higher to mop up the large surplus kicking around Europe. The Australian harvest has now begun and farmers there are eager sellers under the new deregulated market, where they are no longer bound to sell to the AWB. Corn futures closed lower on Halloween Friday but remained above the $4/bu bench mark. Outside markets which have influenced grains for the majority of the week continued Friday as the dollar strengthened and crude oil slipped under $65 per barrel during grain trading hours. South Korea has reportedly purchased 110,000 MT of US corn for feed purposes. Funds are sellers of an estimated 6,000 CBOT contracts. Weather remains favorable for harvest throughout the weekend and into the better part of next week. Dec -8 at 4.01. Soybeans and the rest of the soy complex skidded lower Friday as funds were net sellers of 2,000 bean, 1,500 meal, and 2,000 bean oil contracts at the CBOT. Lower crude oil during trading hours and a higher dollar pushed beans lower. Today marked the first notice day for deliveries against the November contract, a surprising 641 deliveries were posted; basis is some areas may be worse than some trade anticipated. Weakness in crude oil and a rally in the US dollar index also weigh in on the soy complex. Nov -8 at 9.25; Dec Meal -10.30 at 273.00; Dec BO -88 at 33.60. Wheat futures finished mixed in the nearby Dec contract at the three different exchanges on Friday with CHI and KC lower but MLPS slightly higher. Funds were quoted only selling 1,000 CBOT contracts but heavy spread trading of Dec/Mar was noted. Futures are pushed lower in weakness in corn futures, USDA could report winter wheat plantings near 95% complete Monday afternoon when crop progress report is released. Futures traded 8 to 10 lower during most of the day but late buying and profit taking for week/month end pushed prices off of their lows. Dec CHI -1 at 5.36; KC -1/2 at 5.73. India has planted 1.47 million hectares of winter rapeseed compared to 947,000 hectares a year ago, the federal government said Friday. Rapeseed is the main oilseed grown in the winter season. A grain elevator that ships millions of tonnes of U.S. corn and soybeans from the Mississippi Gulf each year reported an explosion and fire Thursday, emergency officials said. The explosion happened about 1:30 a.m. CDT (0630 GMT) at an elevator owned by Archer Daniels Midland Co in Destrehan, Louisiana. No one was injured, officials added. The explosion was caused by grain dust, although what ignited the volatile particles was not known, officials said. An company spokesman said ADM was still assessing the damage late Thursday. ADM has four elevators in Louisiana that export grain from the Mississippi Gulf, located at Destrehan, Ama, Reserve and Paulina. Destrehan is the largest of the four facilities with a storage capacity of 6.4 million bushels (163,400 tonnes) and an hourly loading capacity of 75,000 bushels (1,900 tonnes). The elevator ships soybeans, corn, wheat and soybean meal. eCBOT futures closed lower overnight with soybeans 13-14c weaker, and corn and wheat both around 5-6c lower. A resurgent dollar, weaker crude oil, falling equities and harvest pressure weighed on futures throughout the session. The dollar rose from $1.65 to $1.62 against the pound as global recession fears resurfaced. Crude slipped close to $64/barrel amidst falling demand concerns. The IGC increased 2008-09 world grain output 16mmt, 7mmt of it wheat, from last months projections. Meanwhile, shares in Asia and Europe fell on Friday, heading for their worst month ever. 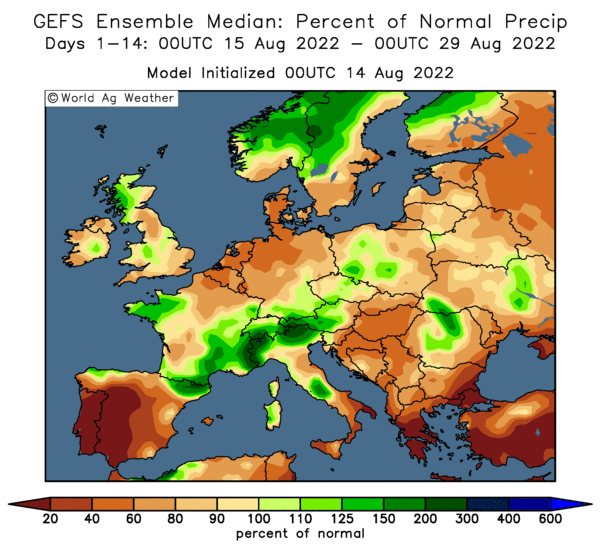 Weekend US weather forecasts are promising for harvest advancement, and conditions in the Plains for newly planted wheat are said to be the best for many years. The wheat harvest has begun in New South Wales which is also adding some pressure to the market. Early calls for this afternoons CBOT session: Corn futures are expected to open 3 to 5 lower; soybeans 12 to 15 lower; wheat 5 to 8 lower. Several state newspapers carried reports on Thursday suggesting that the addition of melamine to animal feed was commonplace. Analysts say that the news reports are an unusual departure for Chinese officials, marking what amounts to a tacit government admission that the problem could affect many parts of the food supply. Trick Or Melamine Flavoured Treat? Lucky Dip (Nottingham) Ltd has withdrawn some batches of its own brand Christmas and Halloween Chocolate Pop products because they have been tested in the UK and found to be contaminated with melamine. Tonight kids, beware of strangers offering you a Lucky Dip Delicious Halloween Treat Chocolate Pop, 25g Batch code: 358 Best before: 30 September 2009. The affected products are manufactured in Zhongshan, China, by Le Bang Chocolate Food Company and imported into the UK by Lucky Dip (Nottingham) Ltd. They are sold in a number of UK shops. Defra have refuted claims that they are a gang of muppets who haven't got a clue about agriculture. Vegetarian Hilary Benn, it has been revealed, has just one farm in his entire constituency and Food and Farming Minister, Jane Kennedy has none! Dry and warmer weather is building across the Midwest, promoting an acceleration of corn harvesting, USDA's Joint Ag Weather Facility reported Thursday. In many areas, the soybean harvest is complete or nearing completion. In the West, a few showers are developing across northern and central California in advance of a Pacific storm system. Warm, dry weather elsewhere favors fieldwork, although rain is needed for Northwestern winter grain establishment. On the Plains, very warm weather favors rapid growth of winter grains. Across the central and southern Plains, warmth is promoting maturation and harvesting of late-developing summer crops. In the South, chilly conditions linger from the Delta to the Atlantic Coast. However, temperatures are generally not as low as those observed on Wednesday morning, when the growing season ended across much of Mississippi, Alabama, and Georgia. Harvest activities for crops such as cotton, peanuts, and soybeans continue under a cool, dry weather regime. Near-term Outlook: For today, rain and snow showers will end across the Northeast, as an early-season winter storm moves away. In the storm’s wake, high pressure will dominate much of the nation. Above-normal temperatures will prevail nationwide, except along and near the Atlantic and Pacific Coasts, into early next week. On parts of the Plains, temperatures will average more than 20 degrees F above normal. Meanwhile, precipitation will increase in coverage and intensity during the next few days in northern California and the Northwest. By early next week, as much as 4 to 7 inches of precipitation may occur in the Cascades and the Sierra Nevada. Extended Outlook: The National Weather Service 6- to 10-day outlook for November 4-8 calls for above-normal temperatures across much of the eastern half of the U.S., while cooler-than-normal weather will prevail from the High Plains westward. Meanwhile, wetter-than-normal weather from the Pacific Coast to the Mississippi Valley (excluding the Southwest) will contrast with below-normal precipitation from the Mid-Atlantic coastal plain into New England. Hot and dry conditions have prompted farmers to begin wheat harvesting in New South Wales. For the first time in an unregulated market growers are not compelled to sell their wheat to the Australian Wheat Board for export under the single desk scheme. This has prompted a lot of cash-strapped growers to try to sell their wheat all at the same time after two years of drought. Not surprisingly this is depressing prices. Benchmark ASX January closed Friday A$6 lower at A$271/tonne, A$14 down on the weeks high and A$29 down on the month. The harvest has yet to begin in Western Australia, the country's largest producing state, where soil conditions are too wet. The pound dropped versus the dollar Friday, heading for the biggest monthly decline in 16 years, as consumer confidence slumped in October amid speculation a recession looms. The U.K. currency snapped a three-day gain against the dollar after an index of sentiment slid to minus 36, close to the weakest level since at least 1974, as the financial crisis spooked shoppers, GfK NOP said today in a report. A gauge of consumer willingness to make major purchases dropped 11 points to minus 42, the lowest since the series began the same year. The pound dropped to $1.6180 as of 9:40 a.m. in London, from $1.6451 yesterday. Still, the U.K. currency is higher on the week, but is down 8.7 since Sept. 30, the steepest monthly decline since 1992. Overnight grains are lower on eCBOT with wheat heading for its largest monthly decline in 22 years. Wheat is currently around 9c lower, having already declined 21% this month, the most since Feb 1986. A stronger dollar is depressing the entire grains complex this morning with corn around 7c lower and soybeans down around 15c. U.S. overseas sales of wheat in the most recent four weeks sank to 1.79 million metric tons, down 32 percent from a year earlier, Department of Agriculture data showed in a report yesterday. World wheat production will rise 12 percent to a record 683 million tons in the year to June 2009, up from 610 million tons this past year, the International Grains Council said yesterday. Meanwhile corn output will fall 1.8 percent to 773 million tons from 787 million, the council said. Largely due to lower US production, after record output to meet surging ethanol demand in 2007-08. The dollar rose as much as 1.9 percent to $1.2668 per euro. Crude oil fell for a second day with the December delivery contract in New York declining as much as 3.3 percent to $63.80 a barrel. Oil is poised for its biggest monthly drop since trading began in 1983. Barclays is raising up to £7.3bn from Middle East investors, the Guardian reports, who could end up owning more than a third of the UK's second largest bank. The move allows the bank to strengthen its balance sheet without taking help from the taxpayer. The cash injection is coming from the royal families of Abu Dhabi and Qatar, who have both agreed to pump billions into Barclays to bolster its capital ratios. The Qataris, who already own a significant shareholding in Barclays, are providing up to £2.3bn. Once the deal goes through they will own up to 15.5% of the bank. Sheikh Mansour Bin Zayed Al Nahyan, a member of the Abu Dhabi royal family, will provide up to £5bn and could become Barclays' largest shareholder with a 16.3% stake. The final stakes of both Abu Dhabi and Qatari groups could be less, though, as existing institutional investors will also be invited to take part in the fundraising. The International Grains Council last night forecast 2008-09 world grain ouput at 1.77 billion tonnes, up 16MMT from last month, and a staggering increase of 81MMT on a year ago. World wheat production is now seen at 683MMT, 7MMT more than last month, with world corn output at 773MMT, an increase of 2MMT from a month ago. 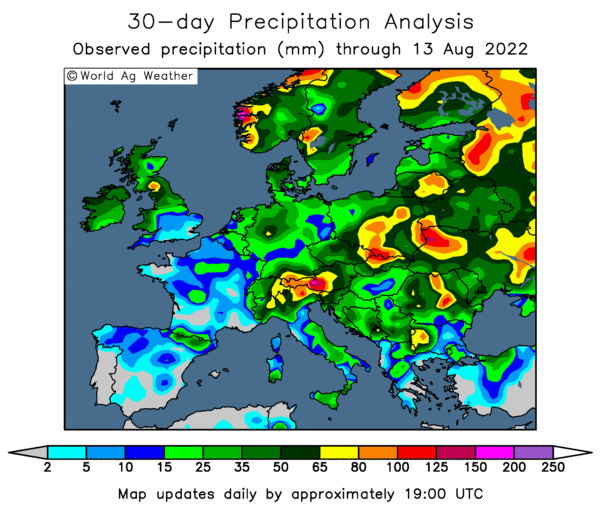 "As northern hemisphere harvesting neared completion, many major producers' grain yields exceeded expectations," the IGC said. "The better-than-expected global harvest boosted global output figures despite further deterioration in prospects in Argentina and Australia," they added. Corn futures ended Wednesday moderately lower as disappointing export sales and weakness in crude oil weighed in. CBOT corn futures were pushed lower on some end of the month profit taking and short covering as funds were quoted selling 8,000 contracts. USDA released disappointing export sales for last week at 413,000 metric tonnes which sharply below the trade guess at 700,000 to 900,000 MT. Taiwan issued a tender for 23,000 tonnes of US origin corn. Much improved weather over the past few days has allowed harvest to ramp back up. Crude oil was off about $2 when the grains closed down to $65 per barrel. Dec -11 at 4.09. Soybeans bounced off of their lows but still finish slightly lower. Funds were net sellers of only 1,000 bean, 500 meal, and 1,000 bean oil contracts at CBOT. Soybeans received some bullish new from USDA when they announced that 1.457 million metric tonnes were sold for export last week, that total was well above trade guesses up 800,000 to 1,000,000 MT. Technical indicators suggest beans are in a sideways trade and considered in neutral territory. Taiwan issued a tender for 12,000 metric tonnes of US soybeans. Weather is aiding bean harvest as well but harvest rate still lags 5 year average. Tomorrow marks the First Notice day for deliveries against that nearby November contract. Nov -3 at 9.34; Dec Meal +3.00 at 283.30; Dec BO +15 at 34.48. Wheat futures were unsuccessful in attempting to bounce higher or at least off of their lows like corn and soybeans. Funds were net sellers of an estimated 3,000 CBOT contracts which put pressure on CHI futures. USDA reported 496,000 tonnes were sold last week for export, totals were within trade estimates. IGC bumps world production up 7 million tonnes to 683 MMT, for a record crop. Wheat futures have not been able to shrug that bearish fundamental for nearly 2 months. Weather is reportedly improving in key southern hemisphere regions. Major importers continue to bypass US wheat, building US stocks, feed use should be dramatically down as corn has fallen nearly 50% from the highs this summer. Dec CHI -23 at 5.38; KC -24 at 5.73; MLPS -14 at 6.47. Goldman Sachs (nicknamed Golden Sacks because of the bumper bonuses it pay its top bankers) is on course to pay its top City bankers multi-million-pound bonuses - despite asking the US government for an emergency bail-out. The struggling Wall Street bank has set aside £7bn for salaries and 2008 year-end bonuses, it emerged yesterday. Each of the firm's 443 partners is on course to pocket an average Christmas bonus of more than £3m. The size of the pay pool comfortably dwarfs the £6.1bn lifeline which the US government is throwing to Goldman as part of its £430bn bail-out. As Washington pours money into the bank, the cash will immediately be channelled to Goldman's already well-heeled employees. News of the firm's largesse will revive the anger over the 'rewards for failure' culture endemic in the world of high finance. Gordon Brown has vowed to crack down on the culture of greed in the City as part of his £500bn bail-out of the UK banking industry. But that won't affect the estimated 100 London partners working at Goldman Sachs's London headquarters. More than 1.5 billion bushels of whole soybeans and soy products were exported from the U.S. during the marketing year that ended Sept. 30, 2008 – a new export record. The 1.5 billion bushels of exports, a 7% increase over the previous year, marks the third soy export record in the last four years. According to the U.S. Soybean Export Council, soy is the No. 1 U.S. agricultural export, totaling over $12 billion annually. USSEC says 2008 saw some impressive major events which helped to push export numbers above previous years. For instance, on June 16 in St. Louis, Mo., the USSEC-led Chinese Buying Team signed agreements totaling $4.5 billion – the largest single-day purchase commitment in U.S. soybean history. China’s total imports for the year totaled 17% of the complete U.S. soybean production, making China the lead U.S. soybean importer. Wheat: 460,400 MT, up 20 percent from the previous week, but down 7 percent from the prior 4-week average. Corn: 413,100 MT were down 48 percent from the previous week and 50 percent from the prior 4-week average. Soybeans: 1,457,300 MT--a marketing-year high--were double the previous week and more than double the prior 4-week average. Soymeal: 130,200 MT were down 51 percent from the previous week and the prior 4-week average. Soyoil: 5,200 MT were primarily for Hong Kong (3,000 MT) and Canada (600 MT). Wheat sales were in line with trade expectations, whilst corn sales were below ideas of 700-900,000 MT. Soybean sales on the other hand were very strong, coming in half a million tonnes more than anticipated. For the week ended Oct. 23, traders expected: wheat sales from 350,000 to 550,000 MT; corn sales from 700,000 to 900,000 MT; soybean sales from 800,000 to 1 million MT; meal sales from 100,000 to 200,000 MT; soyoil sales from 5,000 to 10,000 MT. EU wheat futures are modestly firmer this morning in thin low-volume trade. November Paris milling wheat is up EUR1.75 at EUR147.25/tonne. London January feed wheat is 55 pence higher at £94.30/tonne. European wheat managed to be competitive on the export stage last week with Egypt buying French wheat in preference to US or Black Sea origin. However, with this weeks demise of the dollar Egypt passed on EU wheat yesterday buying instead 120,000mt Russian wheat at $179/tonne CIF (approx £108.50/tonne). "Still, farmers remain reluctant sellers at current levels. Now that the crop is in the barn its likely to stay there until the new year," said one trader. eCBOT grains closed mixed Thursday after surging higher early in the session on follow-through buying and hopes that a weaker dollar will increase export demand. Corn futures were fractionally lower to fractionally higher in most contracts, soybeans 2 to 5 cents higher and Chicago wheat mostly 1 cent lower to 13 cents higher in overnight trade. Yesterday's Fed rate cut, and a similar one in China, may help spur demand traders seem to think. Lower freight rates and a weaker dollar are also being cited as reasons for this mornings rally. By mid-morning though things ran out of steam and the markets eased back to close around unchanged levels. There are still lingering fears that the credit crisis is far from over. Despite world central banks injecting billions into the market to aid liquidity, all the banks seem to be doing is using the money to buy each other and pay off their derivative losses. The next big question is what happens if & when the money runs out? AIG have sucked up $90 billion of its extended $123 billion lifeline already in a few short weeks, suggesting that they will be back cap in hand for more before we see November out. Will they and others like them get it? How many more are there? And where is it all going to come from? We might only be passing the finishing post for the first time with another full circuit to go yet. Early calls for this afternoons CBOT session: Corn and wheat futures are expected to open steady; soybeans steady to 5 higher. Bailed-out (for now) insurer AIG is getting through it's emergency Fed funding package of $123 billion at an alarming rate. Figures from the Fed show that $90 billion of the $123 billion available has already been drawn down. How can a company claiming to be solvent in September could have developed such a big hole by October? Creative accounting? Already it seems that $123 billion is not going to be enough to stop the rot at AIG. Edward Liddy, the insurance executive brought in by the government to restructure AIG, has already said that although he does not want to seek more money from the Fed, he may have to do so. AIG has so far declined to elaborate on exactly what it has done with all this money. The company has outlined only broad categories: some is being used to shore up its securities-lending program, some to make good on its guaranteed investment contracts, some to pay for day-to-day operations and — of perhaps greatest interest to watchdogs — tens of billions of dollars to post collateral with other financial institutions, as required by AIG's many derivatives contracts. We most certainly haven't heard the last of this one methinks. What does AIG stand for anyway? Accountant In Gaol? Dairy Crest and Robert Wiseman Dairies have announced producer price increases. Following an earlier announcement of 1ppl from November 1 from Wiseman, the Glasgow processor this week honoured its promise to review October and announced 0.4ppl for the month – effectively then increasing again by 0.6ppl on November 1. Dairy Crest meanwhile, has announced a 0.5ppl increase for suppliers on its standard liquid contracts from November 1 – except those in Sainsbury, Waitrose and Marks & Spencers milk schemes. After two years of crops decimated by drought, farmers in the northern wheatbelt areas of Western Australia are finally preparing to harvest a decent crop. One grain silo manager said crops in some parts were the best he had seen in decades. "The last couple of years with the drought has placed a lot of pressure financially on growers, and mental demands," he said. "But this season, the spirits of the growers are high, the volumes are good and prices are reasonable." In a year described as make or break for many debt-laden farms, some growers have reported harvesting more in one day than their entire tonnage for last season. Andrew Thomas, who farm south-east of Mullewa, expects to harvest about 10 times the amount of grain over coming weeks that he produced last year. "It's a rewarding feeling to harvest a good crop after all that risk and effort," Mr Thomas said yesterday. Overnight grains are higher Thursday morning, adding to last night's impressive gains, on hopes that the falling dollar and freight rates at their lowest for six years will stimulate export demand. At 8.30am GMT soybeans are up around 20-25 cents, with wheat and corn both around 10 cents higher. Yesterday's half percent interest rate cut by the Fed led the U.S. dollar to its biggest one-day fall in 23 years. China also lowered rates for the third time in two months in a bid to alleviate the credit freeze and boost economic growth. Egypt yesterday passed on US wheat in favour of Russian, purchasing 120,000mt at $179/tonne. Japan is seeking to buy 96,000 tons of milling wheat at a tender tomorrow. This is business that the US would confidently expect to get. Firmer crude oil is also adding support to the grains sector. Crude climbed above $70/barrel in overnight trade on hopes that the US and Chinese rate cuts will stimulate demand. US gasoline stocks surprisingly fell last week according to data from the Energy Dept released yesterday. The pound is reversing last week's unprecedented 20 cent decline against the dollar this week, so far posting a 12 cent increase. At 8.20am GMT the pound stood at $1.6568 from $1.6373 late yesterday, when it posted its biggest two-day gain in more than 23 years. With the FTSE-100 index rising 8.1% yesterday also provides some support for sterling. The dollar fell as the Fed cut US interest rates to just 1%, a massive 3.5% lower than current UK base-rate. Although a further BoE cut next week following this month's half percent reduction seems highly likely, there is still a wide disparity between rates either side of the pond. Indeed, the Fed have indicated that it may still be prepared to take rates even lower if necessary to kick-start the market. But it's not all sunshine & roses for the pound. U.K. house prices fell by the most in at least 17 years in October as banks tightened credit and the prospect of a recession deterred potential buyers, Nationwide Building Society said. The average cost of a home fell 14.6 percent from a year earlier, the largest decline since the survey started in 1991, the mortgage lender said today. EU wheat futures closed higher Wednesday, taking their lead from sharply higher CBOT markets and rising crude oil and equities. Paris November milling wheat closed up EUR2.75 at EUR145.50/tonne. London November feed wheat closed GBP1 higher at GBP89.25/tonne. European stock markets surged Wednesday with the FTSE-100 index rising 8.1% and France's CAC-40 climbing 9.2% as the dollar weakened ahead of the Fed's half percentage rate cut. Traders are becoming more optomistic that sterling and the euro have now fallen sufficiently low to make European wheat competitive in the export arena. Ocean transport costs, as expressed by the Baltic Dry Index, have plunged 90 percent since June 30 on slack demand for shipping containers. The index, which measures rates for dry bulk goods, has now dropped to the lowest since February 2002. Farmer selling at current levels is sluggish. Those that needed the cash have already sold, the remainder have largely shut the book until the new year. Crude oil prices in rose more than $5 to $67.94 on the surprise news that U.S. gasoline stocks dropped last week for the first time in five weeks. Egypt bought 120,000mt of wheat from Russia at $179/tonne. Corn futures closed the imposed 30 cent limit up in Dec08 through July09 contracts. Fed Reserve dropped their fund rate by a half point to 1% and should be bullish to commodities as the decrease in the fund interest rate should put pressure on the US dollar. Index funds were net buyers of an estimated 10,000 CBOT contracts. The sharp declines in the dollar index were supportive to exports with Taiwan purchasing 40,000 metric tonnes of US corn. Weather is improving enabling farmers to resume harvest a vulnerable crop. Dec +30 at 4.20. Soybeans finished Wednesday with strong gains in all contract. Soybean futures were rallied by higher crude oil and weakness in the dollar. Funds were net buyers of 5,000 beans, 2,000 meal, and 3,000 bean oil contracts. 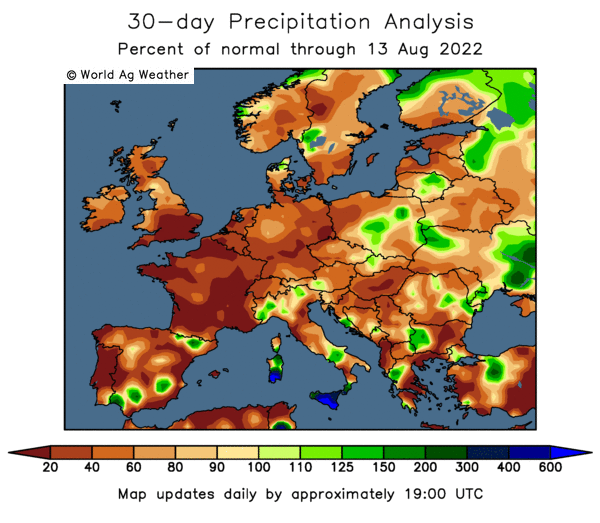 Better weather will help farmers harvest their remaining 24% of the bean crop which has been delayed due to unseasonably wet weather. Nearby Nov contract First Notice day for deliveries is this Friday and may create some deliverable opportunities with the wide range and regional basis bids. Nov +58 at 9.37; Dec Meal +16.20 at 283.00; Dec BO +2.45 at 34.33. Wheat futures shot sharply higher to their 60 cent limit but only briefly and backed off marginally. Wheat was pushed higher by corn and soybean futures as well as outside market influences. Funds bought an estimated 5,000 CBOT contracts adding support. Egypt and Jordan did bypass the US on recent wheat purchases but recent declines in the Dollar index today may create some buying opportunities for abroad customers who have been relatively quite since the dollar has experienced its 10 point move in the last two months. Australia remains dry and in dire need of beneficial rains in most southern regions but Argentina did catch some plentiful rains to relieve some drought pressure. Dec CHI +47 at 5.61; KC +44 at 5.98; MLPS +44 at 6.61. French police have detained a trader for questioning over the loss of 751m euros (£601m) at savings bank Caisse d'Epargne, judicial officials say. He was taken into custody as part of an inquiry into whether anyone was criminally liable for the loss, made as a result of complex derivative trades. The bank's top three executives have all resigned since the loss came to light earlier this month. The loss was made public soon after the bank had set out plans to merge with another mutual bank, Banque Populaire. Caisse d'Epargne bet that stock markets would rise, just as the financial uncertainty sent shares tumbling. EU usage of soymeal in animal feed rations is set to fall sharply as feed manufacturers look to cut costs and turn to cheaper raw materials according to Oil World. "We now forecast EU soymeal consumption at around 34.3 million tonnes in 2008/09, down steeply by 2.3 million tonnes from a year ago," it said. Adding that, "significant changes are shaping up in the feed mix in the European Union. A major driving factor is to be seen in the ample supplies of more attractively prices feed grains relative to oilmeals." One such raw material is rapemeal. 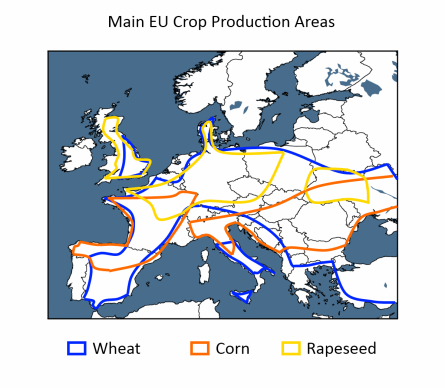 EU rapeseed crushing rose by a "stunning" 21 percent on the year in September 2008 to 1.86 million tonnes, said Oil World. Meanwhile EU September 2008 soybean crushings fell to 1.15 million tonnes from 1.23 million tonnes in September 2007, it said. Snow apparently fell in London last night for the first time in October since 1934. The Ukraine agriculture ministry reported Thursday that the 2008 corn harvest is 56% complete, producing 6.168mmt so far from 1.4 million hectares, with the average yield of 4.38 tons a hectare. At the same point last year the corn harvest was 6.538mmt off 1.649 million hectares with the average yield of 3.97 tons a hectare. This pegs the total Ukraine grain harvest to date at 50.369mmt. In 2007 the total grain harvest was 29.3mmt. eCBOT grains closed higher overnight with soybeans up around 28-29c, wheat up around 10c and corn 8c firmer. Grains were steadier as the trade digested yesterdays revised October planting and production figures from the USDA. Other steadying influences were firmer crude oil prices, a weaker dollar and falling freight rates. On the wheat front Egypt is seeking at least 55,000 metric tons of wheat at a tender today. Early calls for this afternoons CBOT session: Corn futures are expected to open 7 to 10 higher; soybeans 25 to 30 higher; wheat 7 to 10 higher. Crude oil is firmer Wednesday, at $64.46/barrel, after European and Asian stocks surged and OPEC said it may meet again before December to consider a second cut in production in as many months. Wall St closed almost 11% higher last night, posting its second largest points gain ever. This spilled over into Asian and European stocks with the Nikkei closing up 7.74%, and the UK's FTSE 100 index up 5.3% to 4,134, and France's Cac adding 5.9% in early European trade. OPEC are due to meet again on 17 Dec and will probably reduce production again to avoid the growth of inventories, Venezuelan Oil Minister Rafael Ramirez said in an interview on state television. But the of course he would say that wouldn't he? You can tell when the Venezuelan Oil Minister is lying, his lips move. Of more significance perhaps will be the U.S. Energy Department report due later today that will probably show that U.S. supplies of crude oil, gasoline and distillate fuel all rose again last week as consumers curb demand. During October 1-21, 2008, Russia exported nearly 1.67 mln tonnes of grain, including 1.52 mln tonnes of wheat, declared the Ministry of Agriculture on October 27. During the whole 2008/09 marketing year so far (July-June), Russia has exported 7.9 mln tonnes of grain, including 7.05 mln tonnes of wheat, 839,000 tonnes of barley and7,000 tonnes of rye. In September, grain exports from Russia totaled 2.96 mln tonnes (2.63 mln tonnes of wheat, 4,000 tonnes of rye and 332,000 tonnes of barley). The country's agriculture minister, Alexei Gordeyev, said on Monday that this year was witnessing the largest grain harvest since 1992, with the 2008 crop expected to exceed 100 million metric tons in net weight. "Domestic demand for food grain and animal feed will be completely met as a result, and possible exports are estimated at 20 million tons," the minister said. He said there were good prospects for exporting grain to China, although he noted that Russia was not yet on China's imports list, traditionally dominated by the United States, Canada and Australia. The minister said China imports around 6 million tons of grain annually. "We are planning to develop the eastern direction in grain exports," Gordeyev said, adding that this could lead to Siberia using fallow lands to increase its output. Up to 700 passengers have been left stranded at London's Gatwick airport after an Icelandic-owned airline said it would file for bankruptcy. Sterling Airways, which is based in Danish capital Copenhagen, blamed the Icelandic financial collapse for making its owner unable to continue funding. All Sterling flights have been cancelled, including services from Gatwick to Copenhagen and Stockholm. The airline was owned by Iceland's Northern Travel Holdings. The pound is firmer this morning, back above $1.60 against the dollar, as stock markets recover buoyed by growing expectations that central banks will cut interest rates further. The DJI closed almost 11% higher last night ahead of today's anticipated 0.5% cut in US interest rates. Many analysts expect the Bank of England and European Central Bank to follow suit next week. In Japan, the Nikkei closed up 7.74%, breaking back through the 8,000-point barrier to end at 8,211.90. In early trade the UK's FTSE 100 index was up 5.3% to 4,134, while France's Cac had added 5.9%. The pound advanced as high $1.62 in early trade. It was $1.6010 as of 9:12 a.m. in London, from $1.5901 late yesterday. Overnight grains are sharply higher on the eCBOT market with soybeans up around 25c, wheat around 10c higher and corn 8c firmer. Cuts to its previous planting report from the USDA is supporting grains this morning, along with lower freight rates and, for once, a weaker dollar. The shock finding of an extra 2m acres of soybeans in it's Oct 10 report was partially erased yesterday with the NASS admitting it had spotted errors in the reporting mechanism. The U.S. government reduced its estimates of planted and harvested land by 1 million acres, including a decrease of 300,000 acres in Iowa, the biggest producing state, and 200,000 acres in Illinois, the second-biggest grower. The department also cut its corn estimate of harvested acres by 1.3 percent and said ending stocks on Aug. 31 will total 1.088 billion bushels, down 5.7 percent from an earlier forecast of 1.154 billion. The Baltic Dry Index dropped below 1,000 for the first time in six years yesterday as the lack of credit curbed global trade and shipowners threatened to reject orders. The index fell 6.3 percent to 982 points, the lowest since Aug. 8, 2002. The dollar is also weaker this morning ahead of an anticipated 0.5% cut in US base rates by the Fed later today. At 9am GMT the pound was $1.6038, from around $1.5900 late yesterday. See, its not all doom and gloom. US stocks surged higher late Tuesday afternoon, wiping away a week's worth of steep losses, as the Dow Jones Industrial Average jumped nearly 900 points - its second biggest daily point gain ever - as bargain hunters flooded the market. Surging as much as 906 points just moments head of the close, the Dow industrials settled at 9,065.36, up 889.59 points, or 10.9%. EU wheat futures closed mixed Tuesday with Paris November milling wheat unchanged at EUR142.75/tonne and London November feed wheat closing GBP0.25 higher at GBP89.25/tonne. The USDA trimmed 2008 soybean production and ending stocks somewhat, but left corn output & stocks relatively unchanged, in a revision to its October report. The USDA revised October soybean S&D numbers dropping planted acres by 1.1m acres and harvested acres by 1.1m acres, yield was left unchanged. Production was cut from 2.983 billion bushels in the Oct 10th estimate to 2.938 billion. Ending stocks were also revised lower from 220 to 205m bushels. The USDA revised October corn S&D numbers dropping planted acres by 01.0m acres and harvested acres also by 1.0m acres, yield was also slightly reduced resulting in a drop in production from 12.2 billion bushels in the Oct 10th estimate to 12.033 billion. Ending stocks were also revised lower at 1.088 billion from 1.154 billion. EU stock markets were also mildly supportive. After the close of Euronext the Dow Jones Index manged to end with gains of almost 11%, which may add some support in the morning, traders said. Corn futures closed modestly higher Tuesday. Funds were net buyers of an estimated 5,000 CBOT contracts. Corn futures received an initial boost in prices from USDA when they revised production and ending stocks this morning. Harvested acres were cut by 1 million, down to 78.2, production down 167 million acres and ending stocks down 66 mb. Delays in harvest due to wet cool weather may resume later this week with forecasts of higher temps and mostly dry weather through the weekend. Cash bids continue to be impressive around large end users (ethanol plants) due to harvest delays and lack of farmer selling. Dec +5 at 3.90. Soybeans were leading the way in the category of volatility. Futures in night trade had gains 60 cents or better and continued that momentum when the opening bell rang but gave those gains back on profit taking and realization of USDA's revisions this morning. USDA cut about half of the acreage increase in Oct. expected harvested acres for beans is now 74.4 million. Harvest continues to lag behind the five year average but was said to be 76% complete Monday. Funds were net sellers of 2,000 bean contracts, 1,000 meal, and 1,000 bean oil contracts. Better weather this week should help improve harvest conditions throughout the week. Nov -14 at 8.78; Dec Meal -9.50 at 266.80; Dec BO +16 at 31.88. Wheat futures were not influenced by a so called bullish fundamental row crop revisions by USDA this morning and continued on a down trend at the three major exchanges with CHI leading the way. Index funds were noted selling an estimated 3,000 contracts pressuring the market lower. Continued strength in the US Dollar Index has slowed exports which weigh as well as the lingering fact record world crop. US winter wheat planting is 84% complete which is slightly below the five year average but is par for wet weather conditions we have encountered over the past 2 weeks. Taiwan purchased 40,000 metric tonnes of US wheat for milling purposes. Dec CHI -15 at 5.14; KC -11 at 5.53; MLPS -7 at 6.16. Whirlpool Corp. said Tuesday it will cut about 5,000 jobs by the end of 2009 because of the global credit crisis and its expectation for continued reduced demand in North America and Europe. The US's largest home appliance maker also reported that its earnings fell 7 percent during the third quarter on lower global unit volumes and higher material costs. Whirlpool lowered its earnings outlook for the year. Shares of Whirlpool dropped 9.9 percent, or $4.96, to $45.05 in early trading. Responding to a question from Conservative MP, Mark Prisk, Defra minister Huw Irranca-Davies admitted nearly £350,000 had been spent on taxi journeys by the department last year. Shadow Secretary of State for Environment, Food and Rural Affairs Peter Ainsworth said: “It is appalling that Defra is happy to fritter away increasing amounts on taxis while cutting important budgets on animal health, litter reduction and wildlife conservation. Given the department's tendency to lose things its a surprise that a few of those receipts didn't go astray as well. Or maybe they did and the actual bill was more like half a million? Iceland's central bank unexpectedly raised the benchmark interest rate to 18 percent today after the island reached a loan agreement with the International Monetary Fund. Policy makers raised the key rate by 6 percentage points, the Reykjavik-based bank said in a statement today, taking the rate to the highest since the bank began targeting inflation in 2001. The IMF deal is due to be presented to the fund's executive board later this week. One of the conditions attached to the loan was that policy makers raise the key rate to 18 percent, the country's central bank said. The USDA included the following note with this morning's revised report: "In calculating crop acreage, NASS draws upon several data sources, including farmer reported surveys, satellite imagery, and acreage data reported by producers to the Farm Service Agency (FSA). After the October 10 Crop Production report was released, FSA analysts noted a discrepancy between the acreage numbers in the raw data on the FSA mainframe and the data provided to NASS. Using the definitive source data from the FSA mainframe database, NASS repeated its acreage estimation process for dry edible beans, canola, corn, sorghum, soybeans and sunflowers. As a result, this report was reissued on Oct. 28 to reflect corrected acreage and production estimates. All tables, charts and narratives affected by these corrections have been updated." eCBOT grains closed sharply higher overnight with soybeans nearly 60c higher, wheat up almost 20c and corn posting gains of around 23-24c. Bargain hunting returned after recent steep declines on ideas that losses had been overdone. Sharply lower freight rates should also help stimulate export demand, traders said. The USDA issued a revised October crop production report. As you may remember the Oct 10th report issued a double whammy to beans and corn on a day when the markets were already under pressure from meltdown in world financial markets. It was felt by many at the time that the numbers the USDA came out with then were simply too high. It would seem that they were right as the revised figures are bullish, particularly for beans cutting production from 2.983 billion bushels in the Oct 10th estimate to 2.938 billion. Ending stocks were also revised lower from 220 to 205m bushels. Associated British Foods the international food, ingredients and retail group announces it has reached agreement with Archer Daniels Midland Company, the global agricultural processor, on the creation, with immediate effect of Stratas Foods, a joint venture for the manufacture, marketing and distribution of packaged oil products in the US and Canada. ABF and ADM will each hold a 50% share in the joint venture. Potentially toxic industrial chemical melamine has been found for the first time in eggs imported into Hong Kong from China, a media report said Sunday. Eggs tainted with melamine were already detected last month in the same northeast Chinese city from where contaminated ones sold in Hong Kong originated, an official said Monday. The safety inspector from Dalian city's food and drug department said tests were carried out on eggs for melamine in the wake of the scandal about the widespread use of the chemical in Chinese dairy products. "Agricultural authorities carried out some checks into eggs after the (tainted) milk powder incident was disclosed, the official, who declined to be named, told AFP by phone. Some eggs were found to be tainted with melamine, which were then destroyed, he said, without disclosing the quantity. Ukrainian farmers are trying to stir up their selling of agricultural products, according to experts of IA APK-Inform. The situation is being caused by the worsening financial crisis, they say. Banks are very reluctant to give credit and farmers have to increase their own funds through selling of agricultural products. At the same time, farmers are offering for sale mainly grains and prefer to restrain sunseed sales in order to wait for improving prices on the oilseeds market. But despite agricultural producers efforts, both grains and oilseeds prices continue at low levels of trading activity due to insufficient volume of buyers, IA APK-Inform say. Pound Poised For A Rally? The pound climbed against the dollar in early trade Tuesday, breaking a seven-day losing run, on speculation rising stock markets will increase demand for the British currency. The pound also gained versus the euro. The FTSE 100 Index is expected to open steadier after Asian stocks advanced in late trade. Japan's Nikkei index staged a late rally on Tuesday to close up 6.4%, having earlier fallen below the 7,000 mark for the first time in 26 years. The pound was steady in early trade at $1.5528. Against the euro, the currency strengthened to 80.40 pence. It fell to a record low of 81.96 pence per euro on Oct. 24. Britain's currency may be poised for a rebound versus the dollar, according to the relative-strength index, a technical indicator some traders use to forecast price direction. The 14-day RSI on the currency was at 18.7, below the 30 threshold that may signal a recovery. Overnight grains are sharply higher Tuesday morning with beans up around 48-50c, wheat up 16-17c and corn 17-18c firmer. Speculation that the lowest prices in 12 months will slow farmer sales and spur export interest have supported grains the last two sessions. Wheat has now fallen around 60%, corn 50% and soybeans 43% from record highs set in the spring/early summer. US soybean export inspections were well above expectations yesterday, which also follows a very strong number the previous week. The Baltic Dry Index yesterday fell to its lowest levels since 2002, which is also encouraging market participants that that too will help stimulate exports. One to watch for later...The National Agriculture Statistics Service, a unit of the USDA, will release a revised October crop-production report today with corrected acreage estimates. The USDA didn't provide further details about the report, which will be released at 8:30 a.m. in Washington. The original report was released Oct. 10. USDA reported earlier today that 21.241 million bushels were inspected as of 10/23/08 which was far below the 37.5mb needed to be on pace with the USDA’s projection for a 2.0 billion bushel total in the 2008/09 market year. This was also below the range of estimates for corn export inspection, between 28mb and 33mb. There are 47 weeks left in the 2008/09 market year though.This afternoon, USDA reported US corn harvested was 39% complete as of 10/26/08, up from 29% last week. At this time last year we were 70% completed. Also the USDA reported that US corn crop as of 10/26 at 96% mature, up from 93% reported on 10/19, but it was 100% at this time a year ago. Guarded bullish trading and spillover price support from a climbing US stock market helped corn futures to finish higher today. Harvest delays due to weather in the Corn Belt and some speculative buying also boosted corn. Closed Dec up 12-1/4 cents, at $3.85-1/4. Soybean futures were higher, along with soy meal and soy oil. USDA reported earlier today that weekly soybean export inspection of 41.326mb which was well over expectations of 19.5mb this week. They appear to be on pace with the USDA’s projection for 1.050 bb in the 2008/9 market year. Trade estimates were for 28mb to 40mb. On a year over year basis, the US exports remains behind the last market year with 138.6mb inspected so far this year compared to 172.3 by this time last year.USDA reported this afternoon that soybean harvest as of 10/26 was 76% complete, up from 67% as of 10/19, but down from this time last year at 81%.Closed Nov soybeans up 29-1/4 cents, at $8.93; Dec Soymeal up $8.00, at $276.00; Dec Soyoil up 0.25, at 31.72 cents. Wheat was higher at all three exchanges. Earlier today USDA reported weekly wheat inspection of 21.891mb which was within the range of estimates between 18 to 23mb. On a year over year basis, wheat exports are below 2007 levels, currently at 89% of last year’s cumulative exports at this time. There are 35 weeks left in wheat’s market year.This afternoon USDA reported winter wheat planted for 10/26 was 84%, up from 79% from 10/19, but down compared to 86% this time last year. Reported winter wheat emerged on 10/26 at 69%, up from 10/19 at 60%, and up compared to 66% this time last year. Closed Dec CHI up 13-1/4, at $5.29-1/2; KCBT up 17-1/2, at $5.64-1/2; MGEX up 22-3/4, at $6.24-1/2. eCBOT grain futures closed lower Monday, reversing earlier gains, on ideas that the ongoing economic slump will hurt demand. Wheat closed around 10-12c easier, with corn off 5-6c and soybeans around 2c lower. Wheat was the weakest leg after the New South Wales Department of Primary Industries raised its estimate for 2008 wheat production in the state to 6mmt, from 5.8mmt previously and just 1.8mmt a year ago. Soybeans derived some support from news that China's soybean imports in September were more than double last years levels at 4.13mmt. Year-to-date imports are running at 28.7mmt, a 32% increase on 2007. China's corn imports for the year-to-date are also sharply higher, up 60% to 16.14mmt. Crude is around a couple of dollars lower, but off session lows, at $62.36/barrel. The pound is around $1.5390, from a close at $1.5897 Friday, when its 5.9 percent intraday plunge was the most in at least 37 years. Early calls on this afternoon's CBOT session: Corn is expected to open 5 to 8 lower; soybeans steady to 2 lower; wheat 10 to 12 lower. The Fed is expected to cut US interest rates by a half percent to just 1 percent Wednesday, as Fed Chairman Ben Bernanke has another stab at kick-starting the financial markets. The global outlook has worsened since the Fed last acted on Oct. 8, and analysts now say that the US economy may shrink more than 2 percent in the final quarter of 2008, its steepest decline in at least 18 years. Bernanke and his colleagues may eventually have to drive the benchmark overnight rate close to zero to resuscitate the economy, some analysts are saying. In another yo-yo session overnight grains have traded either side of the market Monday morning as traders grapple with conflicting news. At 9am BST wheat was around 12c lower, corn 6-7c easier and soybeans down 5-8c. In earlier trade all three commodities had been around 10c higher on speculation that the U.S. may cut interest rates, reviving demand. Fed policy makers are meeting this week, and are forecast to lower rates for a second time this month to try to thaw frozen credit markets and avert a deepening recession. However, sharply lower Asian and European stock markets, and weaker crude oil conspired to press the grains complex lower by 9am in London. December crude is down $2.80 at $61.35/barrel and Brent crude is now below $60/barrel. Traders report "a lot of action" Friday in December 2008 $50 put options, or the right to sell oil at $50 a barrel, implying expectations of a further sharp fall in prices. Those options expire Nov. 17. Asian shares have tumbled again at the start of the week, as worries about the depth of the global slowdown continue to hit sentiment. Japan's Nikkei 225 index fell 6.36% to its lowest close since October 1982. In the Philippines, the main index fell 12.3%, as the country's second biggest bank announced hefty losses because of its exposure to the US investment bank Lehman Brothers. In Hong Kong, the Hang Seng was down 12.2% in afternoon trading. India's Sensex index dropped 6.1% to its lowest level since November 2005. At 8.40am the FTSE100 was 5.19% lower at 3681.66, the French Cac40 down 5.97% to 3003.19 and Germany's DAX down 4.21 at 4114.88. In the near future Kazakhstan will be able to double grain production and export volumes via the introduction of new modern technical equipment in the agricultural industry, declared Akulbek Kurishbaev, the Minister of Agriculture, during the first international agrarian investment forum "Agroinvest.KZ-2008." According to the Minister, the average annual grain production in Kazakhstan currently totals around 15.5 mln tonnes, and grain exports total 6 mln tonnes. Currently the country ranks around 7th-8th in the leading world grain exporters. In 2007 Kazakhstan was the world's largest flour exporting nation, he said. Kazakhstan can increase it's grain production volumes and reach these targets - without even increasing area - by embracing modern agricultural methods, said the Minister. Corn futures closed with the same tone they opened on Friday with most contracts experiencing sharp declines. Funds were net sellers of an estimated 8,000 contracts as late selling was noted. Crude oil was off almost $4 down to around $64/barrel, crude oil has dived nearly 60% since its price peak earlier this summer. Dow Jones was down over 300 points at 8379. Wet weather has delayed harvest but trade is anticipating 40% harvested when USDA releases their crop progress report Monday afternoon. Dec -17 at 3.72. Soybeans had extreme volatile trade with being near 20 cents of both sides of steady on the day. Funds were sellers of 3,000 CBOT bean contracts, 1,000 meal, and 2,000 bean oil contracts. China has purchased 110,000 MT of us soybeans for 2008/2009. China has been absent in most part since before the Olympics. Argentina is planting currently planting beans and recent rains supplied ample soil moisture. USDA projects Argentina to harvest 50.5 MMT which is up from last year's crop of 46.5 MMT. Wet weather has also slowed and delayed harvest in many parts of the Corn Belt and may remain that way for several days. Nov -20 at 8.63; Dec Meal -7.0 at 268.30; Dec BO -135 at 31.47. Wheat futures closed modestly lower compared to other grains. Futures were pressured from the global financial melt down overnight as well as spillover selling pressure from corn and soybeans. Funds were net sellers of 1,000 CBOT contracts. Pakistan has issued a tender for 750,000 metric tonnes of wheat. Crop conditions and production reports continue to be mixed in both Argentina and Australia but total world production is still projected to top all previous records. The dollar index is soaring once again, up 1.21 points surpassing the 86 point mark. Argentina is forecast to receive much needed rains early next week but Australia continues to be severely dry in southern regions. Dec CHI -6 at 5.16; KC -6 at 5.47; MLPS -3 at 6.01.